HTC has finally confirmed that it is going to debut a smaller version of its best selling HTC One Android smartphone.The HTC One Mini basically keeps much of what makes its larger sibling great, but in a smaller package with a tidier screen size – 4.3-inch 720p screen (1280 x 720). Ironically though that still makes the mini’s screen bigger than the iPhone 5. Other specs include Android 4.2.2 re skinned with the HTC Sense 5 UI over the top, an aluminium body, with polycarbonate edging, a 1.4GHz Qualcomm Snapdragon 400 chipset (which is less than the HTC One) 1GB of RAM and 16GB of storage. It comes in two colours “Stealth Black” and the silvery “Glacial White”. 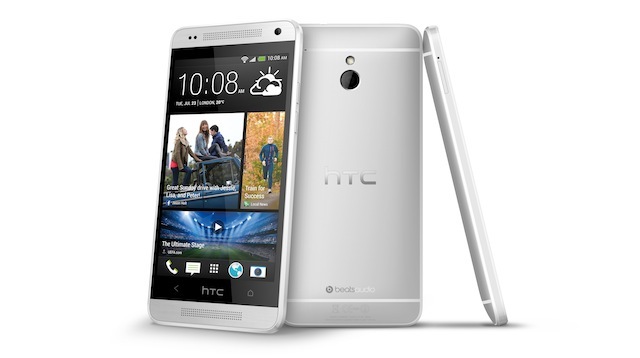 It also packs a 4.1 “Ultrapixel” camera, which HTC says delivers excellent low light performance. It will be on sale in August in the UK and both EE and Phones 4U have already announced they will be selling the phone.